A wild bird flew into our house last night, likely scared by the fireworks. Mama and I freaked out, which is apparently what you’re NOT supposed to do. This stubborn bird wouldn’t leave our home and kept flying AT us in a terrifying, menacing manner. Even poor Paisley was shaking in fear. But thanks to some advice from a neighbor and Google, I finally coaxed the bird out a bit after midnight. If you’re ever in this terrible situation, turn off all the lights inside the house and turn on a light just outside a single open door or window. Clear a path to the opening, and cover all other doors and windows. Minimize movement and noise that could scare the bird. 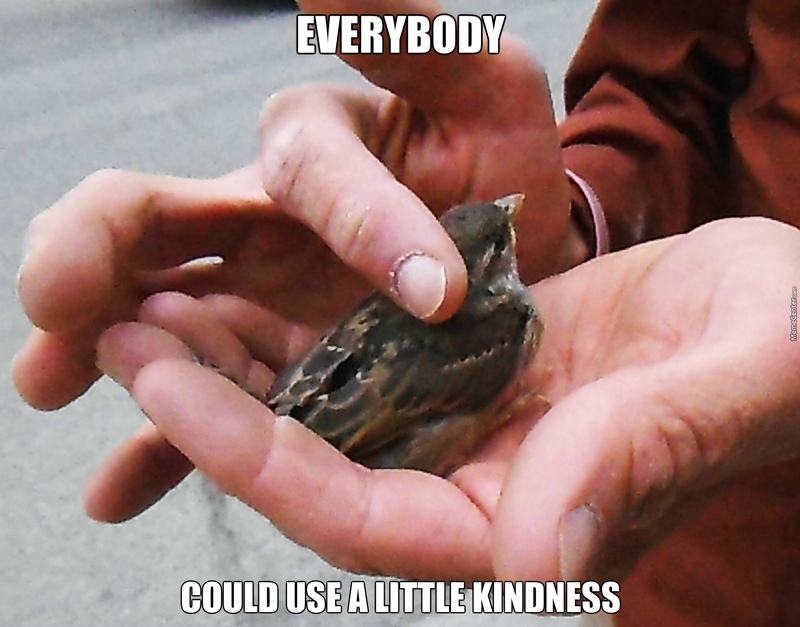 Also, despite my meme for today, please do not try to hold a wild bird or catch it in your hands, because they could be carrying any number of diseases and you could hurt each other. Today’s #OneGoodThing was freeing the wild bird! Day 186 of 365. And Day 917 in a row (here’s the first 366 & the following 365)!